The Dover Market is a small independent supermarket and specialty foods store located in Dover, Massachusetts. We are best known for our high quality meats, seafood, deli, and freshly prepared take home meals. The original name of the store was J.W.Higgins Company established in 1883. It was a small mom and pop store located at the rear of the parking lot. 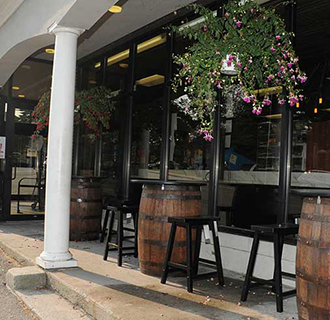 The store has expanded and changed hands several times throughout the years and has flourished for the last 50 years under the ownership of the Valente family. Now, in 2017, the Dover Market is co-owned and operated by the Plageman and Valente families. At The Dover Market we are committed to serving our local community. We continuously support all of the local athletic teams, as well as the annual Dover-Sherborn Scholarship Fund. 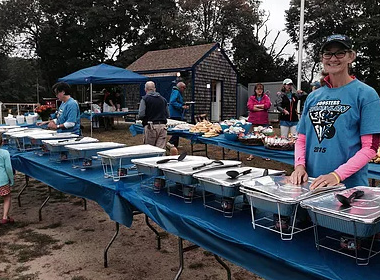 Every year for 12 years we have supported the Dover-Sherborn Boosters Triathlon by donating our delicious meals to the triathletes and staff.